Halloween is coming up and it's the season to be scared! It's the time to enjoy all things weird and gross! A time to change who you are, if only for one night. You can be whoever you want! Halloween is usually a time for kids to dress up, but sometimes the adults want to have a little fun too! I've thought about having an adult Halloween party this year, but we will see. 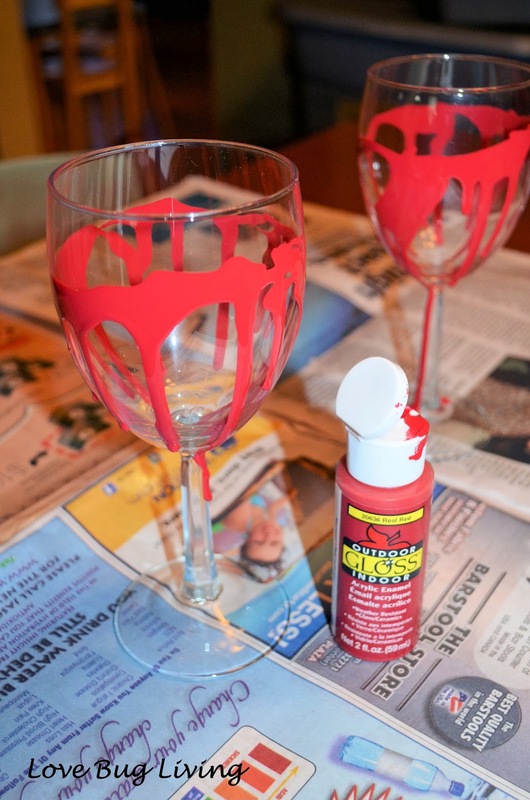 Whether you have a big party, or just a glass of bloody wine alone, I have the craft for you! These Bloody Wineglasses or Mugs are fun and a bit scary! Perfect for Halloween (or really anytime)! They are super simple to make and inexpensive too. Place your glasses on newspaper to catch any drips. Squeeze your paint around the top edge of your glass. Be sure to leave a lip around the top where you will still be able to drink. Paint should not be used on any surface that will touch your food, drink, or lips. Turn your glass as you squeeze your paint all the way around. You will want a decent amount of pain so that it will drip down and look more bloody! Allow to dry completely. It may take a little longer than most paint projects since your paint will be thicker drips. Wait at least 48-72 hours and then place in a cool oven. Bake at 325 for 15 minutes or as directed on your paint bottle. Allow to cool in the oven. 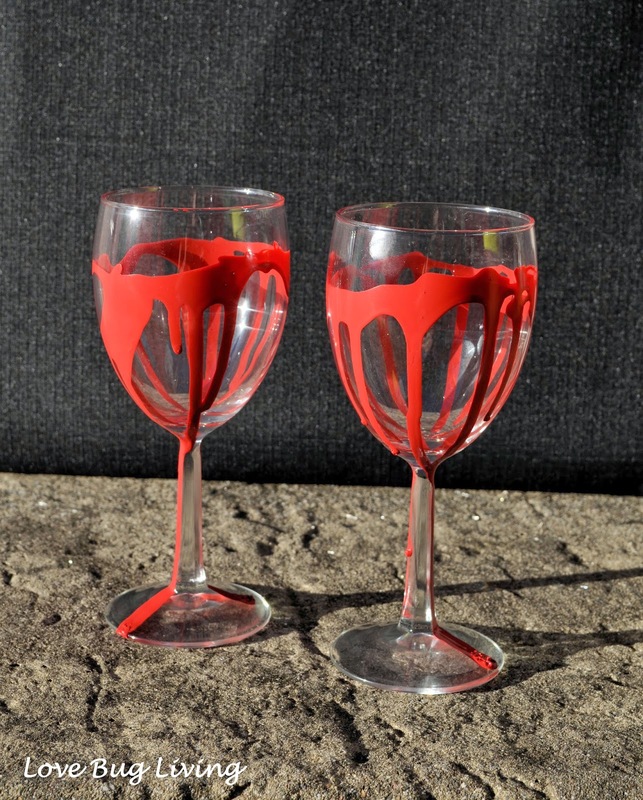 These fun glasses would be great for a Halloween party and even better as party favors! 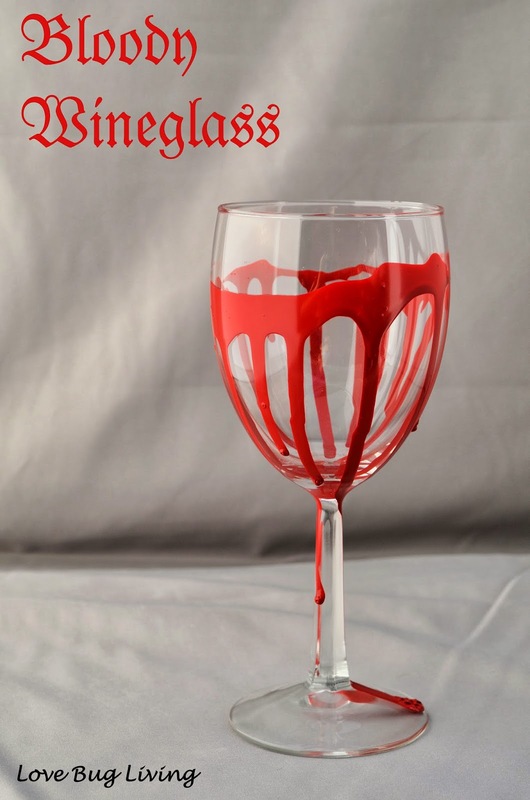 You could even write your guests names' in red paint at the base of the wineglass. If you do send them home with your guests, make sure they know to only hand wash them. 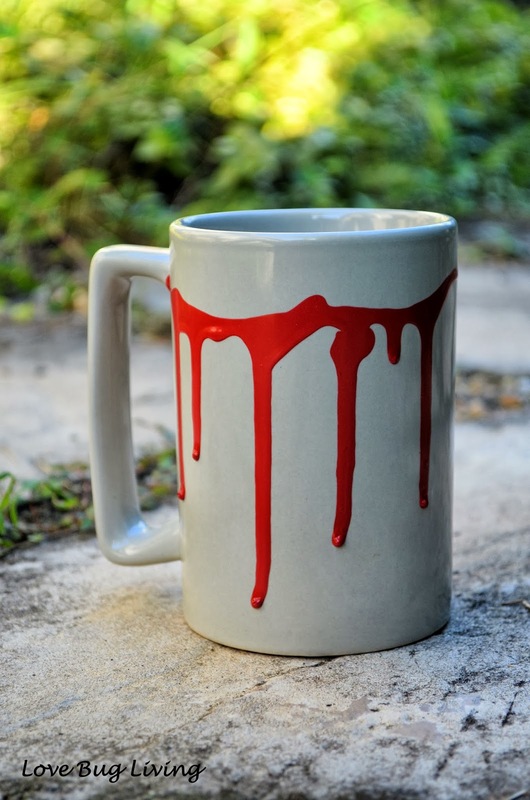 I couldn't resist making a bloody mug. Too much bloody wine the night before, and you might just need some bloody coffee! Have fun making your own bloody glasses!